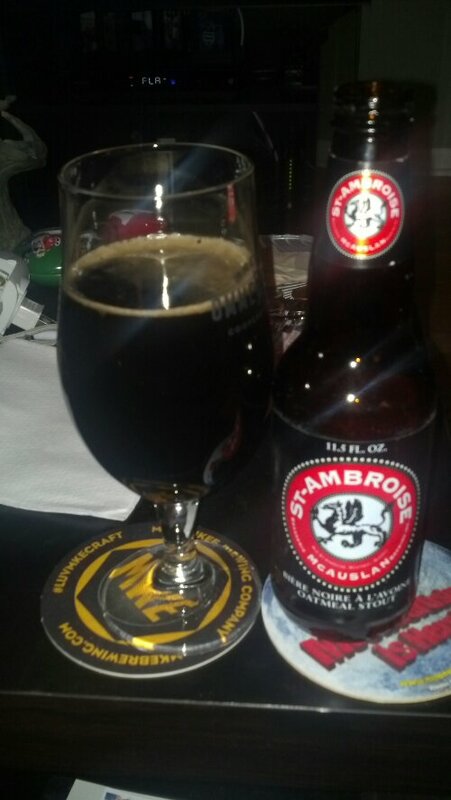 In this beer blog, we are going to try one of my favorite beer styles, which is Oatmeal Stout. The brewery and the beer is McAuslan Brewing St. Ambrose Oatmeal Stout. McAuslan Brewing opened their doors in 1989. After 2002 Moosehead sold their shareholder stock, the brewery expanded into a new brewery. They still brew Moosehead beer for the Quebec market. Their beers are slowly making their way around the United States. Let us get into this great brew. It has a her black color without a head on the beer. The smell is chocolate to fresh s’mores. The taste has a chocolate and coffee with a dry coco aftertaste. It is not that drinkable beer. At the World Beer Championship in 1994, St-Ambroise Oatmeal Stout received the second highest rating of the over 200 beers in the competition and it won one of only nine platinum medals awarded. Brewed from 40 percent dark malts and roasted barley, this intensely black ale carries strong hints of espresso and chocolate. Oatmeal contributes body and a long-lasting mocha-colored head to this well-hopped beer.